Three airline associations have called upon Europe and member states for a commitment to support European airlines affected by the volcano and its aftermath. At the beginning of the week much of European airspace remained closed to any commercial air traffic and this has meant many airlines face huge costs and logistical nightmares. The associations, ELFAA (European Low Fare Airline Association, ERA (European Regional Airline Association and IACA (International Air Carrier Association) have said that they are doing their utmost under the new passenger rights regulation EU261/2004. Cessna have delivered the first Citation CJ4 to an unnamed customer, the aircraft is the largest of the CJ range of aircraft and this aircraft is fitted with GreenTrak flight planning software. GreenTrak uses a process called cost indexing to minimize total trip cost by balancing the cost of direct operation, fuel burn and carbon emission. The Federal Aviation Administration has awarded the type inspection authorization to the Boeing 787 Dreamliner, this allows for FAA personnel to participate in the collection of important data during the flight-test programme. The award of the authorization by the FAA is confirmation that the administration is ready to addition certification data on the airplane. In Berlin, IATA Director General and CEO Giovanni Bisignani has said that airlines will lose more than estimated $1.7 billion because of the volcanic ash cloud. This is on top of the estimated $2.8 billion the airlines could lose in 2010. The airline industry lost $9.4 billion in total last year, this crisis is devastating according to Bisignani. The scale of the crisis eclipsed 9/11 when US airspace was closed for three days. The Director General expects that the industry could take up to three years to recover from the volcano crisis. IATA said that from the 17th to 19th April, when the air-traffic delays and disruptions were at their worst, lost revenues reached $400 million per day. London Oxford Airport remained open for 48 hours continuously as soon as it is notified that controlled airspace becomes accessible on Tuesday evening. Bombardier has signed a contract to supply eleven Bombardier TRAXX electric locomotives to Koleje Mazowieckie – KM. 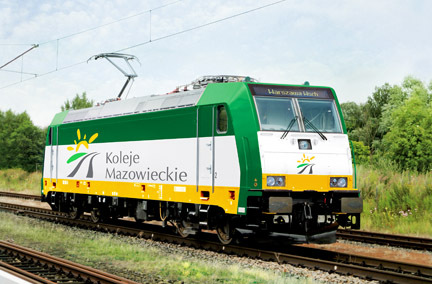 The two cab electric locomotives are planned to pull the KM double-deck coaches in a push and pull operation in the Mazovian region of Poland. Travelers using the First Great Wester Trains West country services were delayed after a car crashed into a gas main in Maidenhead in Berkshire. The accident ruptured a gas main and the railway line had to be closed for safety reasons. First Great Western had put into operation an emergency timetable after having to stop trains from Paddington prior to Maidenhead by adding extra services from Reading to get people home. Normal services were resumed after the National Grid fixed the gas main. 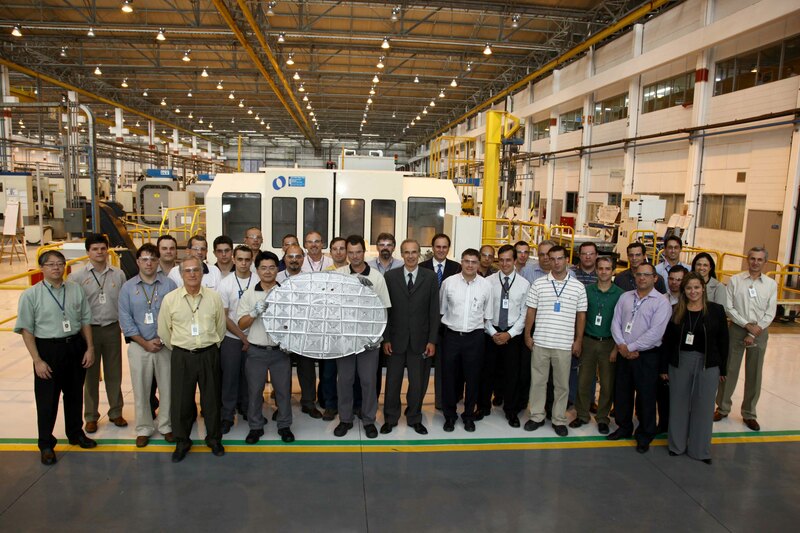 Brazilian aircraft manufacturer Embraer performed the first metal cut for the new Legacy 500 business jet on the 19th April at their Sao Jose dos Campos facility. 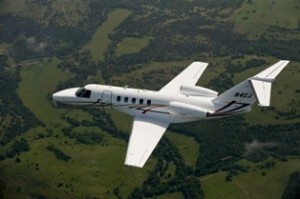 The prototype aircraft is due to make her maiden flight in the second half of 2011. Hotel Indigo has opened in San Antonio, the second property in the city and joins Hotel Indigo San Antonio Riverwalk. The Hotel Indigo at the Alamo is also the second property that the brand has opened in 2010 after Nashville last month. 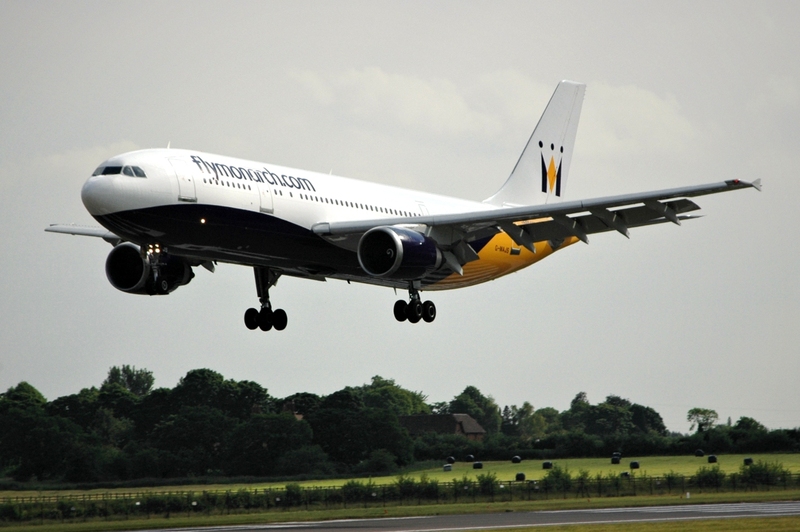 Monarch Airlines flew passengers from Palma de Majorca to Madrid in an effort to get their clients back to the UK. From Madrid they hired coaches and began driving their stranded passengers back to the UK via France and the channel tunnel. 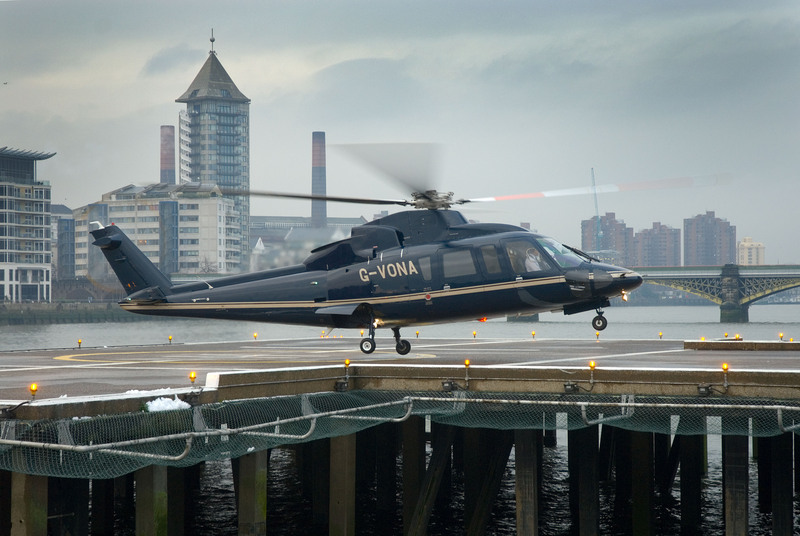 PremiAir has been flying its fleet of twin-engined helicopters repatriating businessmen between London and Dublin that were stranded when the UK closed its controlled airspace last week. The company also made flights using helicopters flying to and from Germany, Belgium and France that was until France closed their airspace to Visual Flight Rules (VFR) traffic. PremiAir has two types of twin-engined helicopters in its fleet, the Sikorsky S-76 and Eurocpter AS-355 Twin Squirrel. 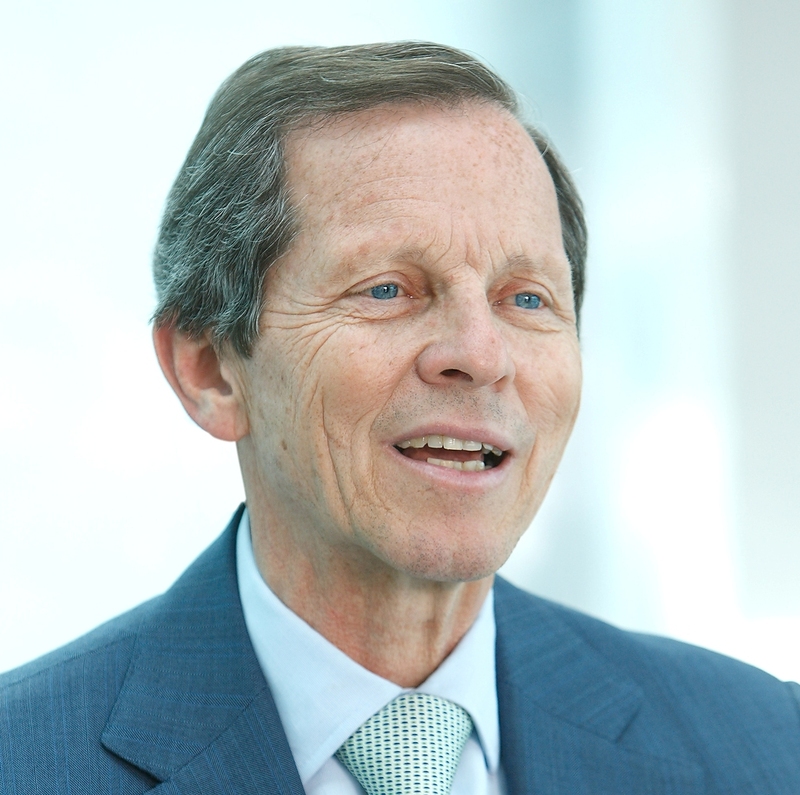 BAR UK has called upon the European Union to make changes to regulation EU261/2004. This regulation was solely intended to give passengers rights when airlines had individual delays or cancelled flights, not for when there was a wholesale closure of airspace by government rulings or without any limitation of time. It is also relevant that airlines can not resume normal operations when airspace restrictions are lifted. BAR UK insists that this regulation is when used in this way, draconian, disproportionate and often impractical. 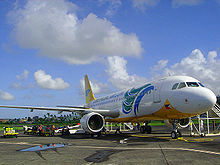 Cebu Pacific has ordered a further seven Airbus A320s. The Philippines based carrier now has 22 A320s on order from the European aircraft manufacturer. The A320s are due to be delivered between the last quarter of 2010 to 2014 and are to be powered by CFM56 engines. 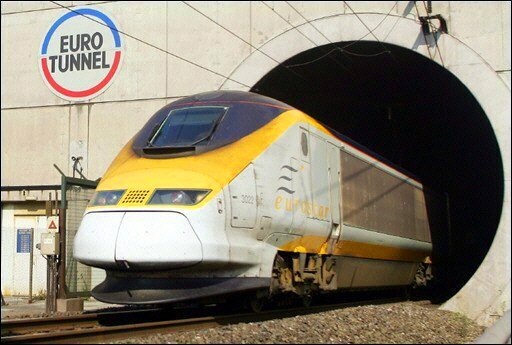 Eurostar has run over 60 extra trains to help stranded air passengers back to the UK since the volcano erupted, offering extra seats and running as many normal services as possible. London Executive Aviation (LEA) has seen corporate and private jet bookings soar as businessmen and executives attempt to circumvent the airlines flight backlog. Patrick Margetson-Rushmore LEA chief executive says that despite the opening of UK airspace, there will still be problems for business as the airlines try and catch up with stranded passengers. 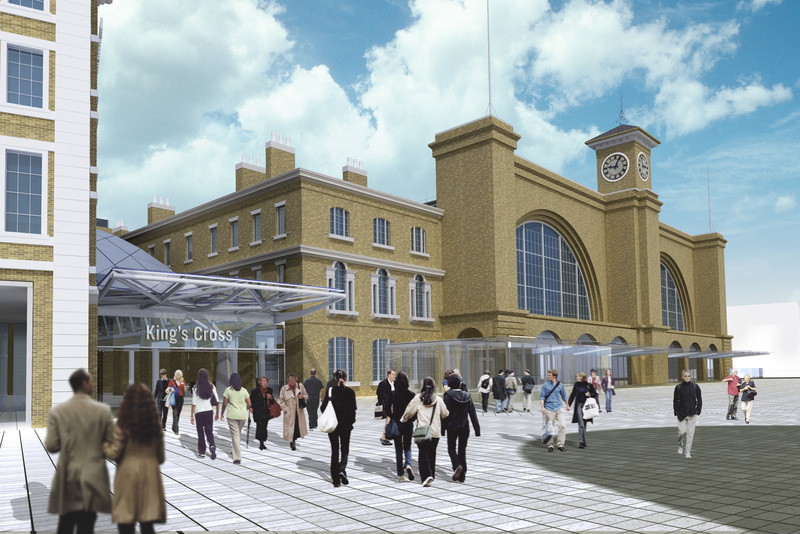 Network Rail has announced the winner of the competition to design the new King’s Cross Square. Architects Stanton Williams has won the competition and will design the new square that will become one of London’s biggest public spaces. This four star hotel is situated in 200 acres of tranquil Manx countryside. The hotel is located between the Ronaldsway Airport and Douglas, the largest town and capital of the Isle of Man. 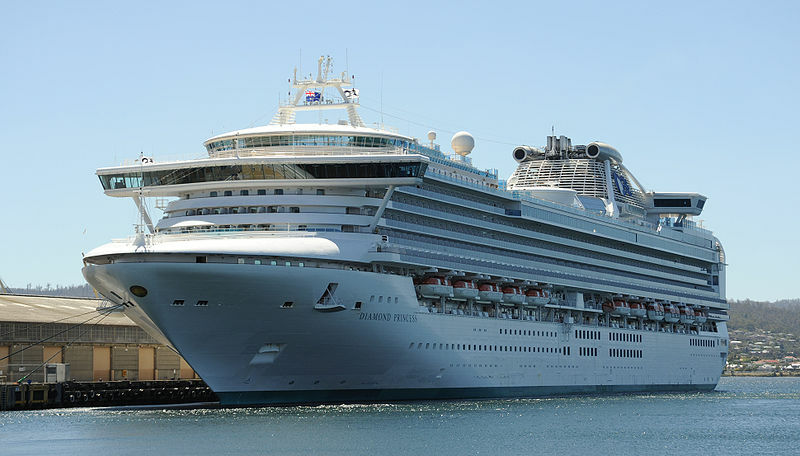 The hotel has 90 large guest rooms, a modern health and fitness centre, hydrotherapy unit and an indoor swimming pool. 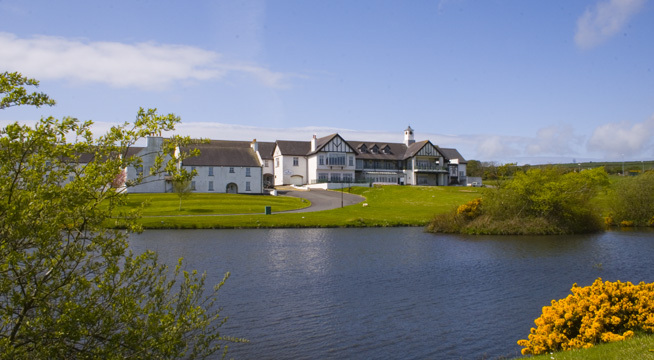 The Mount Murray Hotel is the only hotel on the island with its own 18 championship length golf-course. The course is just over 6,350 yards playing the maximum in length and a par of 71, with variable teeing all the holes can be played shorter for the less accomplished player. Starting with the first a 572 yard par 5 called Three Fields and completing the round with the eighteenth a 595 yard par 5 called The Long. The course has its fair share of hazards like water on the third hole to catch stray shots. The course has its own club house opened in April 2007, it includes a large bar, snooker room, a 100 seat restaurant, The Wentworth Suite, The Balmoral Suite and The Turnberry Suite. All the suites can accommodate a different number of people for meetings and functions. There is also a 24 bay driving range, 12 bays are covered so you can practice your swing in rain or shine. The course has three professional golfers on hand to offer advice and help in any way they can. Private tuition can also be arranged on request. The range in the summer on weekdays is open at 8am and closes at 10pm and at the weekends it opens at 9am and closes 8pm. In the winter it opens all week at 8am, weekdays it closes at 9pm and weekends at 7pm. Mount Murray Hotel and Country Club has the Lake View Bar and Lounge, for fine dining the Murray’s and Lake View Restaurant both have a relaxed and informal atmosphere. As for the Isle of Man most will know it for the TT races and the triskelion but it is much more. The island has been inhabited since before 6500BC and has even been part of Scotland. Today, the island is a self governing British Crown Dependency with Queen Elizabeth II as the Lord of Mann but it is not part of the United Kingdom. The Isle of Man is also not part of the European Union. It has two official languages, English and Manx Gaelic. In Manx Gaelic the Isle of Man is called ‘Ellan Vannin’ and many signs are in both English and Manx Gaelic, the language nearly died out in the 1970s but has seen a revival. Nowadays the schools on the island are once again teaching the language to the local children and it is beginning to be spoken more widely. The Tynwald is the name of the island’s parliament, founded in 979AD and it is said to be the oldest continuous parliament in the world. In July each year on Tynwald Day, they hold a ceremonial meeting at Tynwald Hill where titles are announced and new laws are described and enacted by Tynwald during the past year. The island is 32 miles long and 14 miles at its widest point and is in the middle of the Irish Sea and lies closest to Scotland, then England and then Wales. 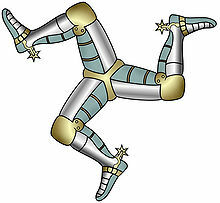 For centuries the symbol of the Isle of Man has been the triskelion, or the ‘Three Legs of Man’. Its origin is explained in the Manx legend that Manannan repelled an invasion by changing into the three legs and rolling down the hill and defeating the invaders. Apart from the roads used during the TT races, there are plenty of other sights to see, Peel Castle has been proposed as a possible site for the Arthurian Avalon. Being an island, seafood is a speciality, all kinds but you are recommended to try Queen Scallops or ‘Queenies’. You also get very good crab, lobsters and all manner of fish. Fishing used to be a major industry on the island but this has declined over the years. You should also try the national tradition dish of ‘Spuds and Herrin’ a plain dish of boiled potatoes and herrings. If you prefer you should try kippers, of course you know they are smoked herrings, especially good at breakfast. Manx kippers are smoked locally at Peel. 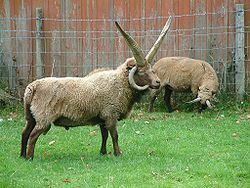 The island has its own breed of sheep, the Loaghtan. They are bred for their dark red meat and are important in Manx cuisine. Apart from the capital Douglas, there are other significant towns, Peel on the West coast, Ramsay in the North and Castletown, Port Erin and Port St Mary in the South. There are over 80,000 living on the island, but at times it seems that everybody knows everybody. The island has a steam railway running between Douglas and Port Erin, an electric railway running between Douglas and Ramsey and an electric mountain railway which climbs Snaefell, the highest mountain on the island at 2,034 feet above sea level. 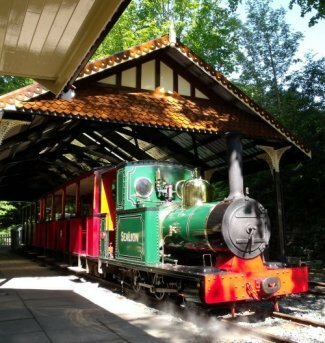 There is also the Groudle Glen Steam Railway that runs from May to September and is a narrow gauge manned entirely by volunteers, this was originally built in 1890s fell into disuse and has been restored over the last 30 years. The railways are mainly for tourists but some locals use them for commuting. There is an extensive bus network around the island on its 688 miles of public roads. Ronaldsway is the island's airport and there are scheduled flights to the UK and to parts of Europe. Douglas is the main port for the Isle of Man and a ferries are operated by the Isle of Man Steam Packet Company to Liverpool and Heysham, there are also summer only ferries to Belfast and Dublin. The island has something for everyone, tourist or businessman, fine country walks and fine dining too in the many restaurants and hotels in the towns in all corners of the island. Maybe if you want somewhere nearby and different then you should visit the Isle of Man and the Mount Murray Hotel and Country Club in particular.